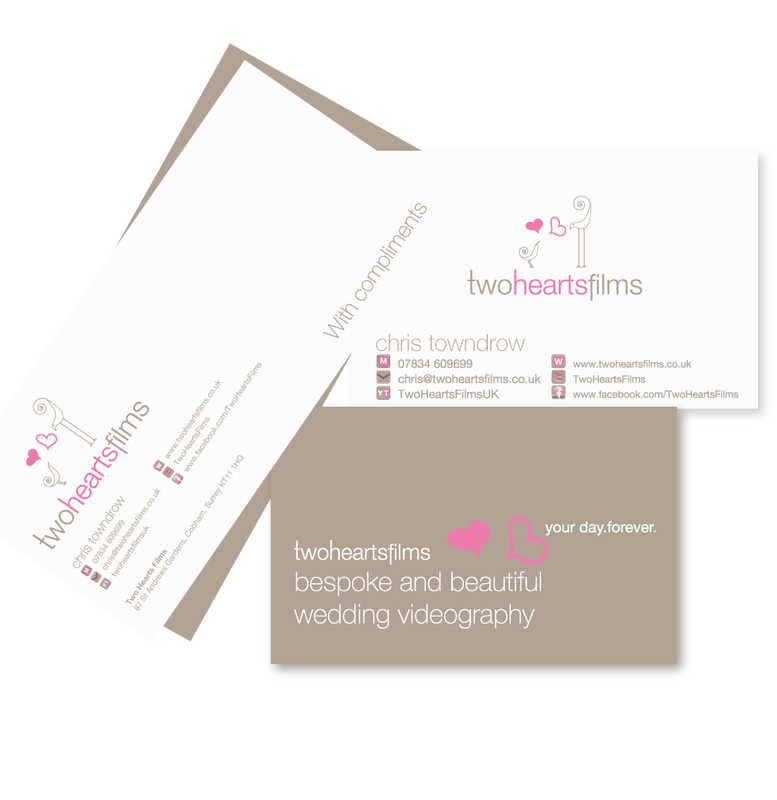 Two Hearts Films is a Surrey based wedding video company run by Chris Towndrow. Having branded Chris’s company London Corporate Media he engaged us to rebrand Two Hearts Films. It was immediately obvious that Chris needed to engage more with the brides to be and essentially make the identity more romantic and appealing to women. Lets face it when it comes to weddings you need to target the decision maker – and that is not the groom! We know Chris is thrilled with his new corporate identity and he is a big Boo Design fan. We like to think that is not only as consequence of the service we provide but also because ultimately Two Hearts Films is a thriving business.